The Ring Doorbell is the latest way to help create your smart home. In a world of quickly advancing technology, there are so many ways that you can arm your home to protect yourself. You can turn on your heat on your way home from vacation, make sure your lights are off, and so much more. Now, you can see who is at your door…without needing to be there. See who is at your door with the Ring doorbell. Ring is easy to install and doesn’t require professional assistance. Simply install the doorbell, connect Ring to your Wi-Fi, download the free app, and you are on your way to improved security. How do you use Ring? You simply install the Ring doorbell at your home. Then, you download the app on your phone. You will be able to see and interact with anyone who comes knocking. HD camera: The camera lets you view any visitor through the app so that you know who is visiting and why they are there. Equipped with night vision, you don’t need to worry about seeing a late-night visitor. Two-way audio: Ring’s slogan makes you feel safe and secure, “With Ring, you’re always home.” That wouldn’t be true without the audio capabilities. Not only can you see your visitors, but you can also speak with them using the Ring app. Motion detection: Your Ring Doorbell has built-in motion sensors to let you know if someone is meandering on your property. Mobile access: Simply download the app to your phone and you will be able to communicate with someone at your front door from anywhere. 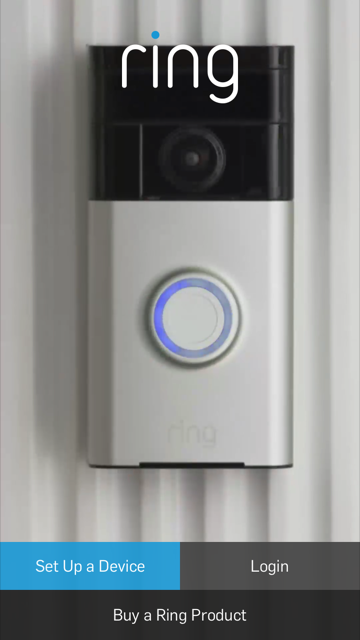 Ring Video Doorbell: This is the standard unit available for purchase for around $199. Measuring at 4.98 x 2.43 inches, it works on any home and connects to your Wi-Fi. You can modify the sensitivity of preset motion zones for increased security and you can see your visitor with a 720 pixel resolution. With this model, you get a rechargeable battery. Choose from four faceplates to match Ring Doorbell to your home. Ring Video Doorbell Pro: The Ring Doorbell Pro is a slightly smaller, sleeker version. It retails for $249 and requires hardwiring into an existing doorbell. However, you also get a few additional features. Your video resolution is better with a 1080 pixel resolution. You don’t need to worry with recharging the battery and you can change out the faces to personalize the look. The Wi-Fi connection is better and you can customize the motion detection zones for increased security. Get enhanced functionality with the Ring Doorbell Pro. Ring Chime: Chime plugs into any standard outlet and notifies you when you have a visitor. This keeps you from having to be tethered to your phone while home. This device is available for $29.95. Stick Up Cam: The Stick Up Cam attaches to a swivel mount and makes it easy to see any visitor. You can integrate as many as you choose with your Ring Doorbell. Each camera is available for $199. Now, you can feel that warm and fuzzy sensation of increased security…whether you’re home or not.